I really enjoyed this workshop! It was a complete shift for me! The best part was learning how to enter the heart space and I do this now on a daily basis! Having my permanent Merkabah activated is amazing as well!! I highly recommend this workshop and Dr. Judith Long is a wonderful facilitator. Thank you! Thank you! This was the best workshop I ever attended. It was a not only an eye opener, but a great opening to explore myself. 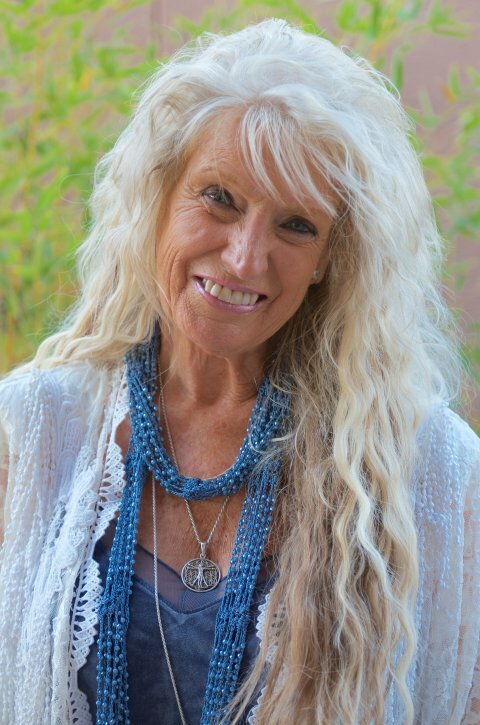 Dr. Judith Long creates a safe and sacred space in which to open our hearts and transform. I left the workshop knowing that my merkaba is activated, my third eye is open, and that I can create from the tiny space of my heart. This class was everything I expected and more! Judith was a wonderful facilitator and all the participants felt like distant family. So much so that I asked Judith to preside over a part of my marriage, with three of the people I took the class with present as witness'. ATIH has made many connections, and has answered many questions about the spiritual path in general, and the Ascension process specifically. I recommend all people to get this knowledge not only to encourage a beautiful future, but to connect with our ancestors and the knowledge held from the past till now. Thank you! Thank you! Thank you! Sedona is wonderful place to start the workshop because the vibration is higher. also Judith is serious and professional teacher with love. A most insightful and excellent experience of truly remembering. The teacher is excellent and provides both the energy and space so everyone can experience again this knowledge that has been til now been temporarily forgotten. I am most humbly grateful and thankful to the Ascended Masters, Drunvalo Melchizedik, Judith Long and all others who are remembering and living consciously with the 'sacred space and tiny space' of the heart! Namaste' with Joy, Love and Freedom Remembered! It was a tremendous experience. I was the only non-Chinese in the entire group of 50 attendees. Dr. Judith had an excellent interpreter who was so very key to the success of the training for the Chinese in attendance. She and this interpreter worked excellently together as a training team.The love that Dr. Judith had for all present was so apparent. At one point on day three she was fielded a difficult challenge by a small group of attendees. Not only did she handle the difficult situation well, it turned out to be one of the most powerful stimulants for that last day of training. It takes courage to train in another country, working in a language different from that of most attendees.. Dr. Judith did a stellar job and my attendance at this training changed my life. Before attending I had listened to Earth,..Sky video. Based on that, I could see that Dr. Judith was following her training down to the letter; everything was so in sync with that earlier training by Dr.. While Dr. was not physically present, Dr. Judith brought his training and his presence to be among us. I remain so grateful for this opportunity and to Dr. Judith. . However, I am also still struggling a bit to know that I am in the tiny space, to see the green light, and know how to successfully do the 90 degree turn. It seems I am so \"Left brain\" and I need to go through all the steps to get where I am to be, I follow the steps but then have some difficultly accessing/allowing the imagery. SO.... I am so pleased to be able to continue this learning via the online tuition support training. Thank you, thank you. I really loved the class and sent others to take it as well. Thank you for your comment here. It was great to have you in my workshop. I was thinking of you just the other day. Trust that all is very well with you. I am honored to have been your Teacher for this information.